1. Preheat your oven to 400°. 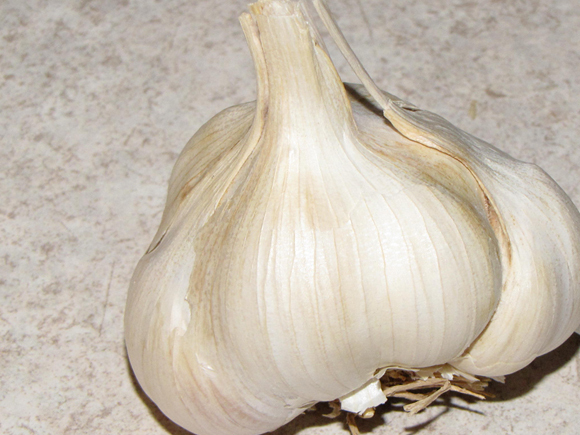 Grab a whole bulb of garlic (or a few). Take off most of the outer skins but leave enough (a thin layer) on so the cloves stay together. Cut off about a 1/4" to a 1/2" of the top of the entire bulb, keeping it intact. 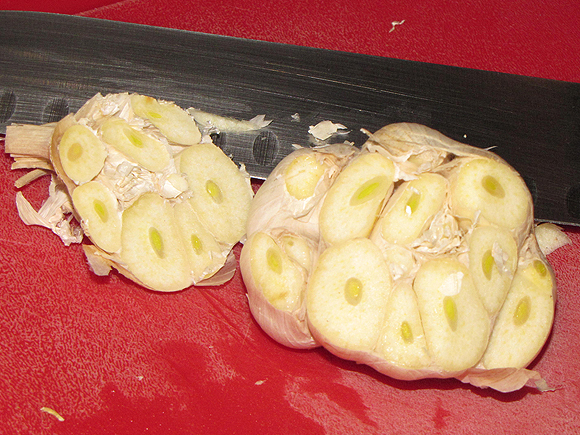 You want to make sure all the individual cloves are exposed, but you don't want the whole thing to fall apart. 2. 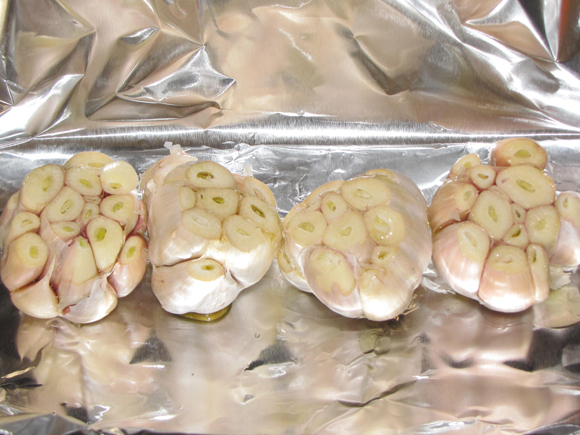 Cut a piece of heavy duty foil that is big enough to surround the garlic. 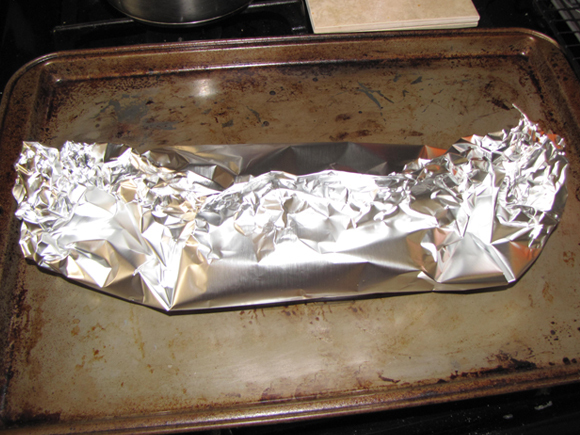 Put the foil in the middle of a baking sheet and place the bulbs in the middle of the foil. Drizzle about 1 - 2 tsp of olive oil over each bulb making sure to cover each clove. Sprinkle a little salt on each bulb if you'd like. 5. 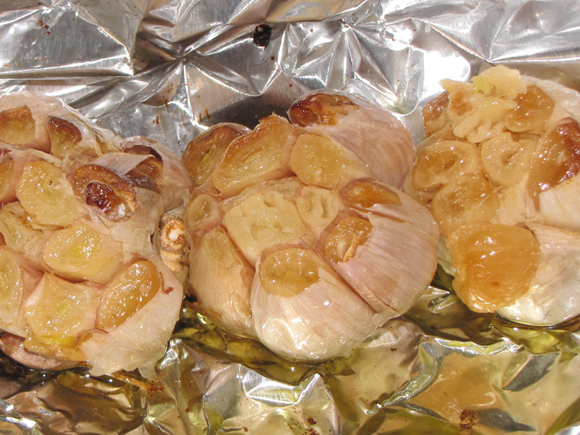 Let the garlic cool until you can hold it without burning yourself. 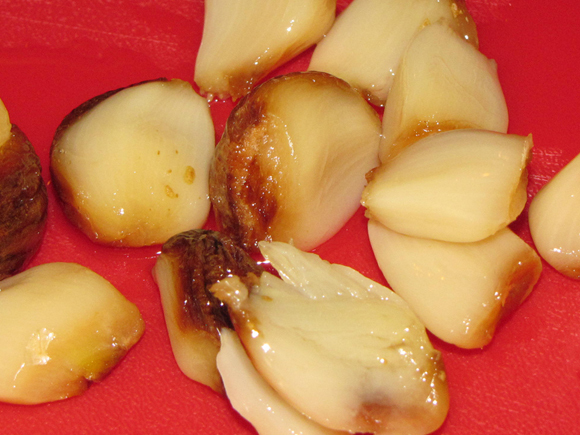 Squeeze the bottom of the bulbs to 'pop' out the cloves or use a small, thin spoon to scoop them out. That's it! 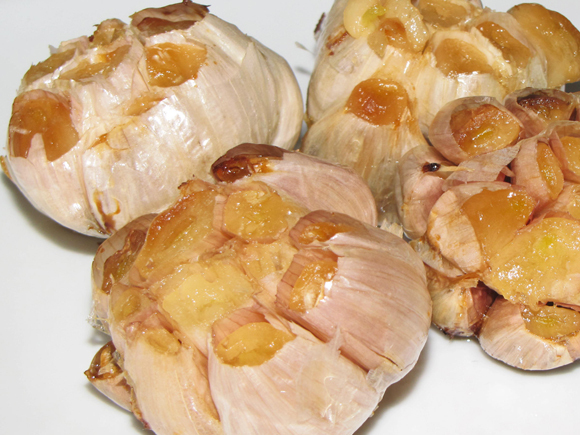 You can put the cloves in a container and keep them refrigerated for about a week or use them up right away. They're great spread on crackers with a little kosher salt or smashed and mixed with pasta.